A cyberattack slowed county government to a crawl Wednesday in North Carolina's most populous metro area as deputies processed jail inmates by hand, the tax office turned away electronic payments and building code inspectors switched to paper records. 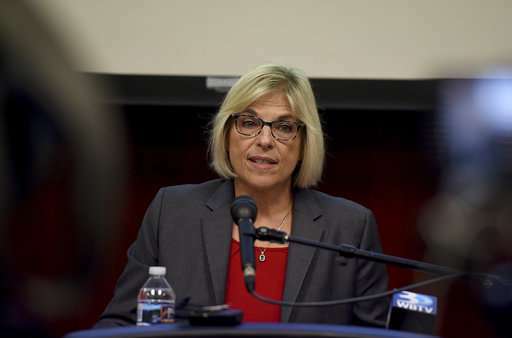 County manager Dena Diorio said late Wednesday that the county will not pay the $23,000 demanded by the hacker believed to be in Ukraine or Iran. Diorio said it would have taken days to restore the county's computer system even if officials paid off the person controlling the ransomware, so the decision won't significantly lengthen the timeframe. "We are slower, but we are up and running," Diorio said. The county of more than 1 million residents includes Charlotte, but the city government appears not to have been compromised by the attack. The state's largest city issued a statement that its separate computer systems have not been affected and that it severed direct connections to county computers. The computer problems haven't affected the processing of emergency calls because they are handled by the city, said Mecklenburg County Sheriff's Office spokeswoman Anjanette Flowers Grube. But it's caused delays for the county jail and disrupted other county services ranging from domestic violence counseling to tax collection. Sheriff Irwin Carmichael said it's taking longer to manually process arrestees, as well as inmates due to be released. 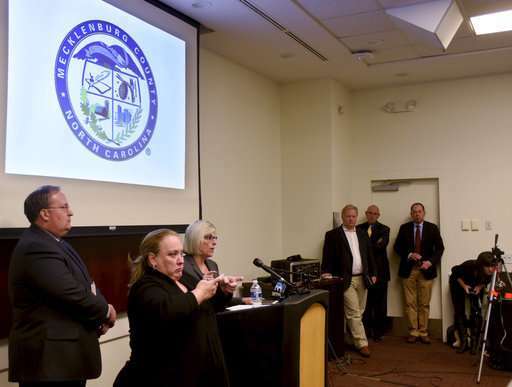 Patty Eagan, director of Mecklenburg County Social Services, said there are "300 trips that are medical demand, and that's when someone has scheduled a trip a week ago, two weeks ago. We are not able to see what trips have been scheduled." Diorio said county computers began to suffer Monday from the attack, which was publicly revealed the next day. 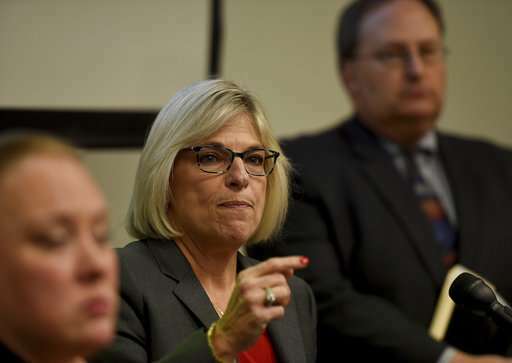 A forensic examination shows 48 of the county's 500 servers were affected, Diorio said, adding that county government officials believe that the hacker wasn't able to gain access to individuals' health, credit card or social security information. The compromised servers have been quarantined, and even potentially healthy parts of the system were shut down to avoid spreading the malicious program, said Keith Gregg, the county's chief information officer. But without getting the compromised servers unlocked, the county will have to rebuild significant parts of the system. Diorio said county technology officials will use backup data from before the ransomware attack to restore the system, but the rebuild will take "patience and hard work." A security expert said cyberattacks on local governments aren't unusual. For example, a hacking attack in late 2016 on San Francisco's mass transit system led its operators to allow free rides over part of a weekend because of data problems. Ross Rustici, senior director of intelligence services at the firm Cybereason, said ransomware schemes against local governments make the news every couple of months, but that they often tend to be smaller, rural areas. He said local governments are "easy targets" because of their older equipment and software. "Once you're in that situation, you really have no good option, so a lot of people and companies end up paying," he said.